Paying less at the pump, but more in the store. Michigan voters may decide whether to replace the state's gas tax with an increase in the sales tax this fall. 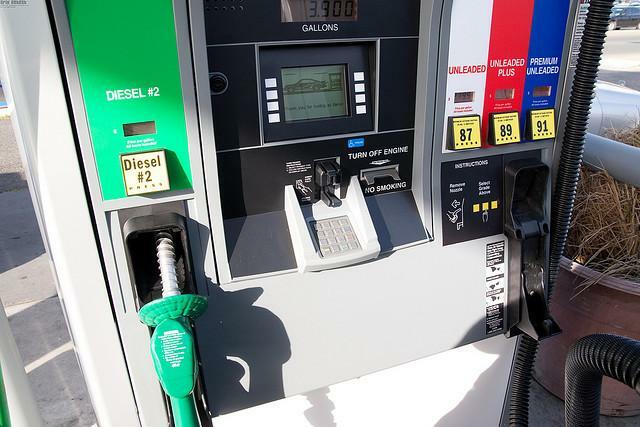 Voters may soon decide whether Michigan should scrap the 19-cents-per-gallon tax on gas at the pump in favor of a sales tax increase of 1 percent. The change would help generate more money for transportation funding. A proposal to put the question to voters is gaining momentum with some legislative leaders. That change would require a constitutional amendment and put the question to voters on the ballot. Republican state Senator Howard Walker sponsored the measure. He said if taxpayers are asked to pay more to fix the state’s roads, they should have a voice. State Representative Paul Opsommer is chair of the state House Transportation Committee. He likes the proposal and said if taxpayers are asked to pay more for transportation, they should have a say in how or whether it’s done. “I think it’s important that they have a voice, especially if we’re really going to make a complete directional change in how we fund roads, because we’re going away from the gas tax into the sales tax,” said Opsommer. Democrats on the House panel say they are interested in the proposal, but they say it is only one piece of the puzzle for transportation funding. Republican state Representative Paul Opsommer chairs the House Transportation Committee. He thinks voters would support the sales tax proposal. Opsommer plans to continue taking testimony on transportation funding proposals this week. Governor Rick Snyder has called on lawmakers to approve more than one billion dollars in additional funding to pay for the state’s crumbling bridges and roads. Why did gasoline prices spike in Michigan? Everybody’s got a theory why gasoline prices shot up.